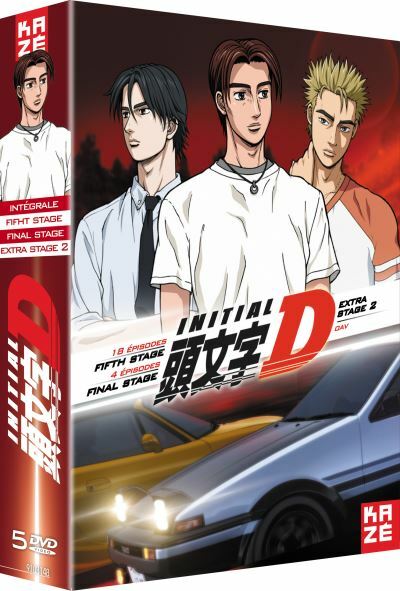 Initial D World - Discussion Board / Forums -> FIFTH, FINAL, EXTRA STAGE 2 IN FRANCE ! Image size reduced, original size: 1900 x 1076. Click here to view the image in its original dimension. Image size reduced, original size: 2545 x 1251. Click here to view the image in its original dimension. Astounding. 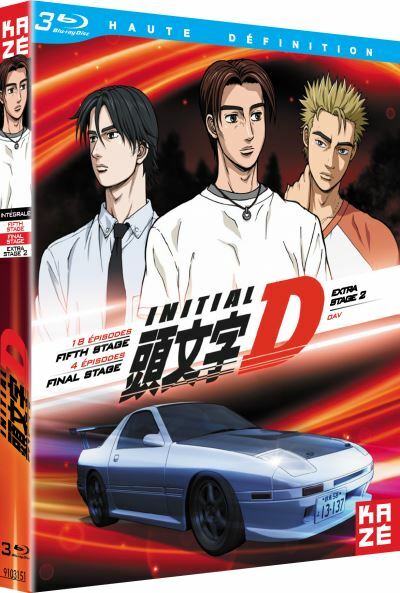 Does this mean France has access to all of Initial D on bluray now? Did you guys get Battle Stage 1 and 2 as well? Great news. I just wish you had a way to rip those discs. We have now the entire series from the HD Masters (Extra Stage 1 & 2 include) in DVD and Blu-Ray BUT NOT the Battle Stages. We are just missing the Legend 3 and Battle Stage 1 and 2. We also got the live action movie in french. I just wish they got Battle Stages 1 and 2 as well. Yes, I remember you mentioning that you didn't have a reader on your PC, thus the wish. In any event, France's blurays are still cheaper than their Japanese equivalents, so assuming the source material is the same they may still be a better option. Here's hoping they choose to bring the Battle Stages over as well. I'm quite curious as to how those looked on the Japanese blurays. Yeah, I've always wondered what Battle Stage would look like on BD, too. Japan had the Battle Stage in blu-ray ? Yes, they did. I hear that the Battle Stage DVD had the option to watch the races without the voices. I wonder if that option was carried over to the BD release as well. Yes, the first Battle Stage have the "MUSIC CLIP VERSION", the length is the same. I just see it was included in the Pit Box 2 but don't know if they upscaled it or something else. So the "no voice" version exists on Pit 2? No, he was just saying Pit 2 has Battle Stage on it. It may or may not have the Music Clip audio track. No way to know without buying it (or asking someone who actually owns it). So lucky to have all of the series! I hope in the future, Fifth & Final Stage come out here in North America. Second : rear cover say "A86" instead of "AE86"
Sasuga France. Is the video quality at least acceptable? It looks like the BR rip from Kirza server. At least for the 1st episode of the Fifth Stage.